Ajax had a close relationship with the Ludwig and Leedy companies in America. 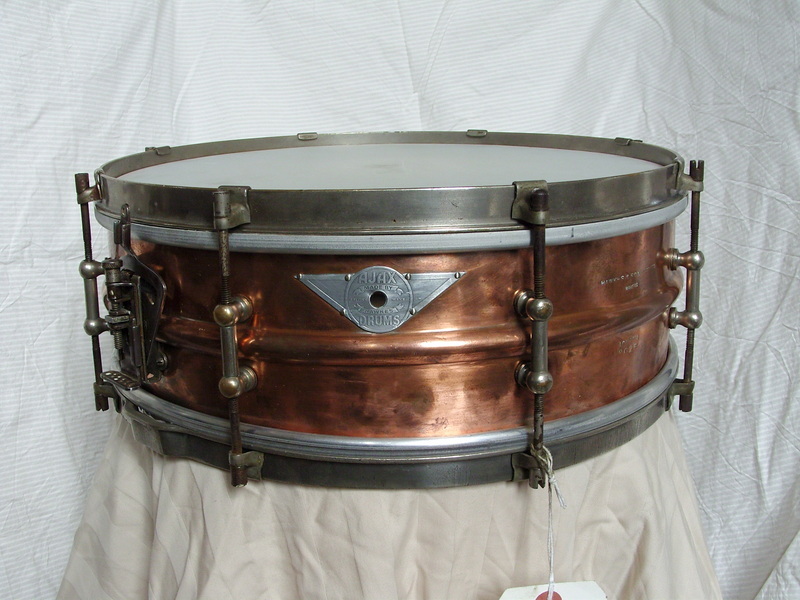 This drum has the early Luwig two-piece shell where the beads overlap each other and are brazed together. This method of construction is responsible for the distinctive sound of the Black Beauty. Please notice that many people believe these shells to be seamless, but be assured they are not, the seams are visible and more information can be found from AK Drums.